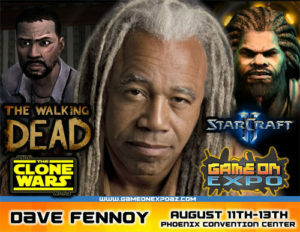 Dave Fennoy will be joining fellow voice actors for Revenge of the Voice Actors Comedy Improv show! 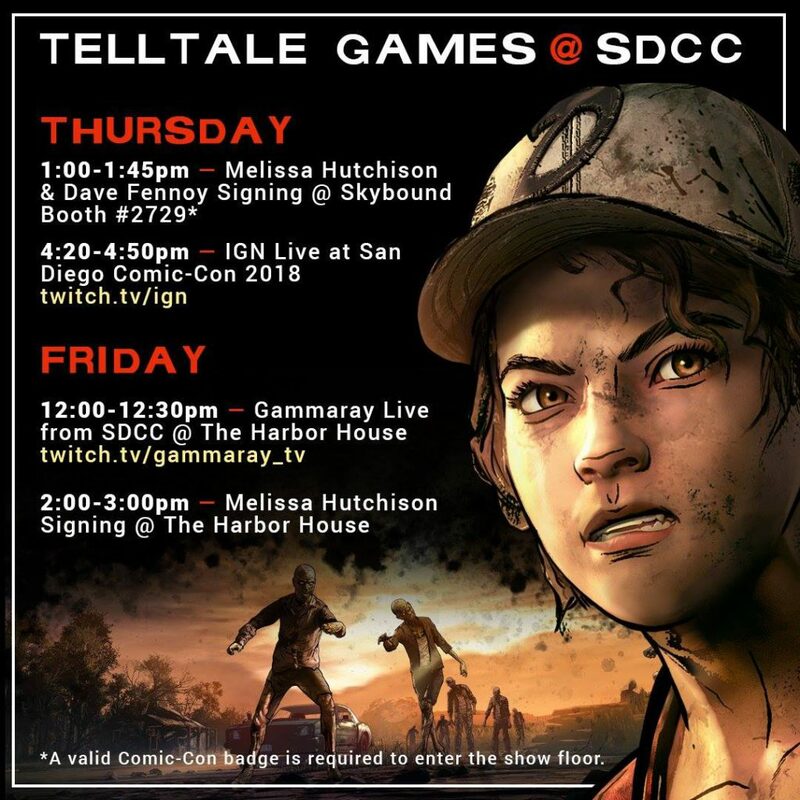 Voiceover performances are key to the video game storytelling process and the right performance enhances the player experience. 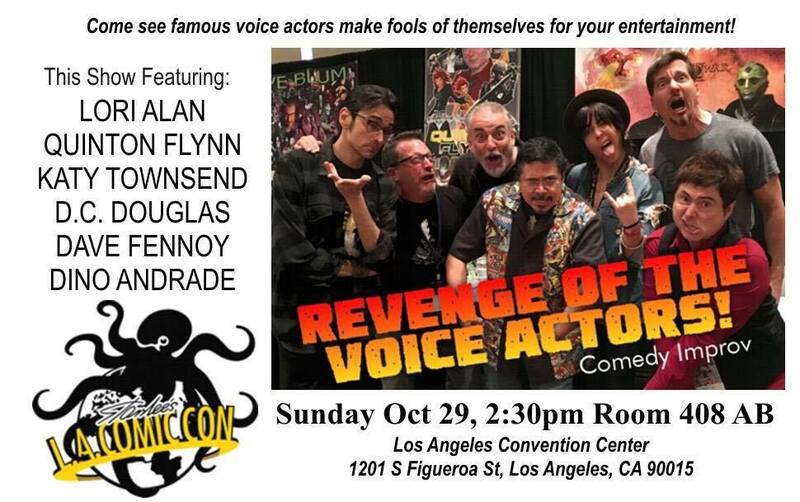 Meet the creative team behind the voices, and learn how the best voice actors bring a game to life. • How to create captivating, believable performances. 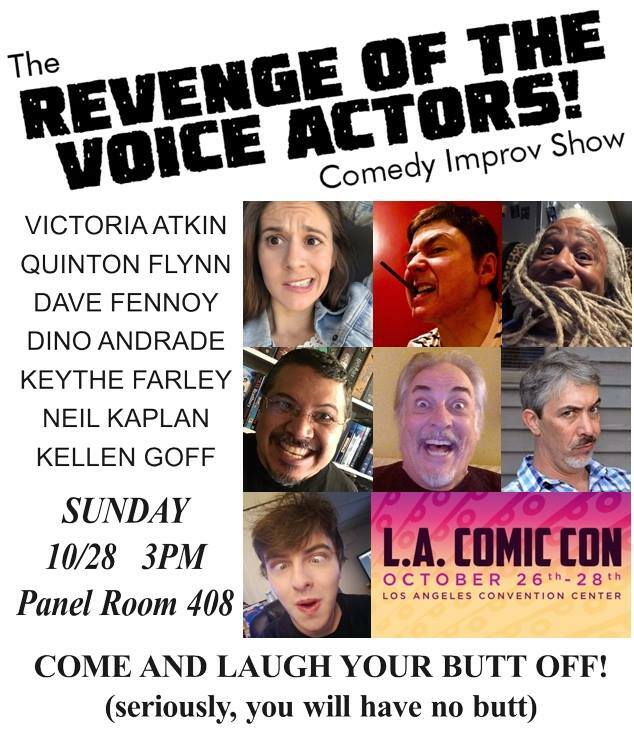 • How to do auditions that book the job. • The often overlooked but essential technique of “character efforts”. • The secret of “Instant Acting” necessary to be a video game actor. • How to create a video game demo that gets the attention of agents and casting directors. • What to expect at your video game VO session. 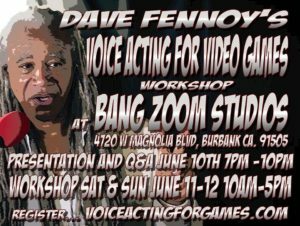 If you’ve always wanted to learn the secrets of how to do voices for video games, you’ve come to the right place! It’s a great “niche” within the voice over world. It’s fun, lucrative and challenging. BUT, very few people know how to even get started . . . much less SUCCEED! Los Angeles area at BANG ZOOM ENTERTAINMENT STUDIOS, 4720 W Magnolia Blvd, Burbank, CA 91505.